Fashion feels good. When your fashion involves a Ferrari 458 and a pair of red Adidas hightops matching the paint, it feels like you’re living the afterlife on earth. But for all the eye candy a Ferrari dusts over a few magical weekends, a turbocharged Volvo wagon with 20-inch rims can cover the whole year. 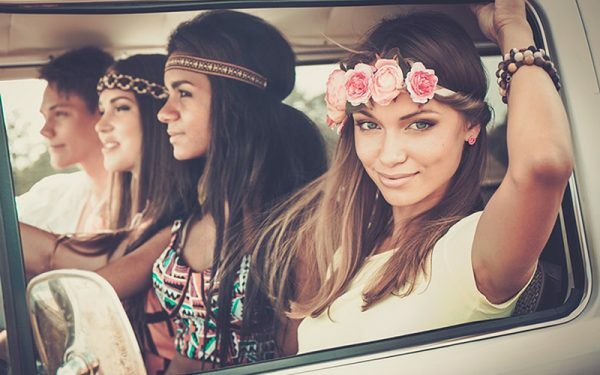 Everyday car fashion is upon us. New cars have never made us look this good. At the Chicago Auto Show, I found four examples of high-end car style that’s become as mainstream as Macy’s. There’s certainly more, but these are my favorites — and unlike the $350,000 Ferrari I recently drove, they won’t drain your accounts. You’ve already got dozens of light-emitting diodes casting spotlights around your house, from the green dot on your bathroom outlets to the red power indicators on your TVs. They’re tiny and so bright that I throw clothes over them and unplug everything when I sleep in hotels. Car designers are less neurotic. 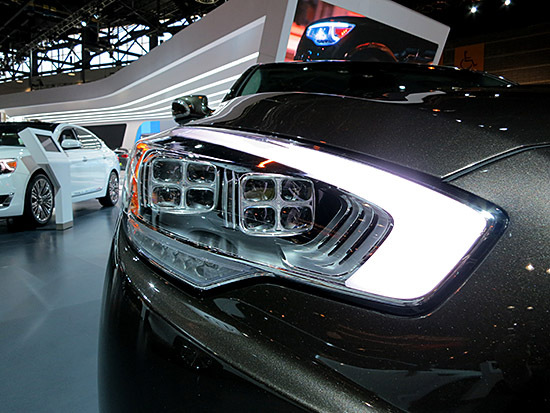 They’ve shaped these low-energy lights into trendy curves and lines on headlamps, so that when an Audi or a Subaru is coming down the road, you’ll know what it is before you see the grille and badge. That’s the idea, anyway. 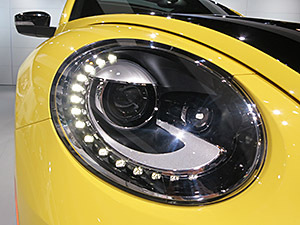 So many automakers are using bright-white LEDs for daytime running lamps that it’s tough to distinguish the actual car behind them. But that doesn’t matter. 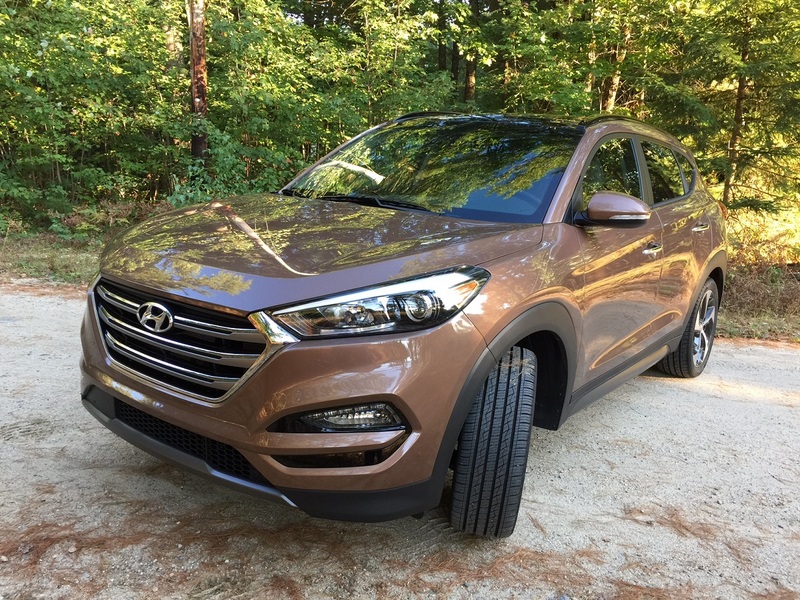 The technology is reliable, it’s getting less expensive and it just looks fantastic in addition to playing a safety role in the car’s visibility to other drivers. You can’t burn yourself on exhausts anymore unless you own an older Dodge Viper, a 1960s Corvette or any similar nutjob car that spews choking levels of fumes from a side pipe. But that doesn’t mean you can’t get big chrome outlets that look like they’d sear a steak. 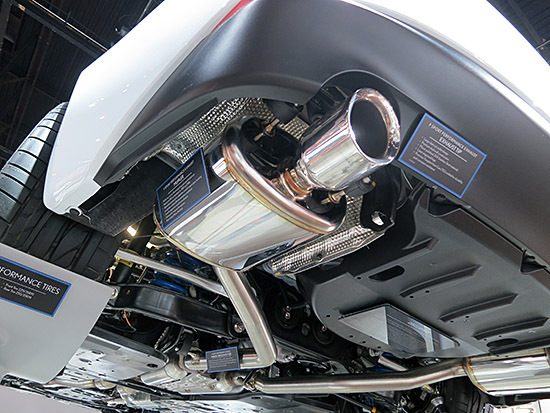 The photo above shows the undercarriage of a Lexus IS equipped with the optional F Sport exhaust. The GMC Acadia has two big horizontal exhaust openings cut straight through the bumper. Pipes, big exposed pipes. Often times they do nothing to free an engine’s air flow and increase power. Still, you’ll find them everywhere. Remember the days when a 16-inch wheel was considered large? Now that’s small fry. You see Scions and Kias coming with 18s, Honda Accords with optional 19s, pickups on 20s, and Bentleys on 21s. They’ve got chrome and carbon fiber-like inserts, two-tone paint finishes, and even come in grey and black. 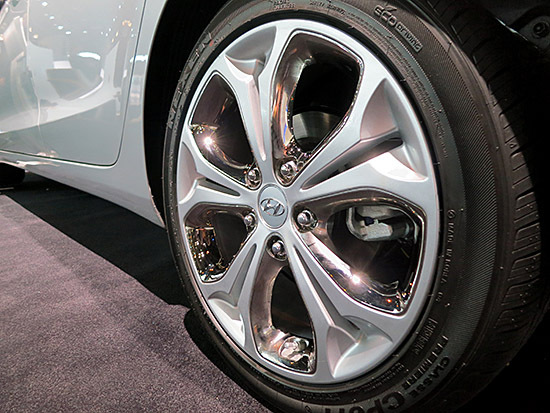 Bigger wheels mean thinner sidewalls, since a tire can only be so tall in a car’s wheel arch. No doubt, they ride worse than a car with smaller wheels and all but guarantee you’ll scratch them within the first year, no matter how careful you are. But they look the absolute business. Practicality, maintenance and replacement costs be damned. Forgetting the cartoonish aftermarket rims used to ride “stance” — look it up, it’s nasty — I’m drawn to big factory wheels every time. Automakers have finally understood that people want to touch nice things. 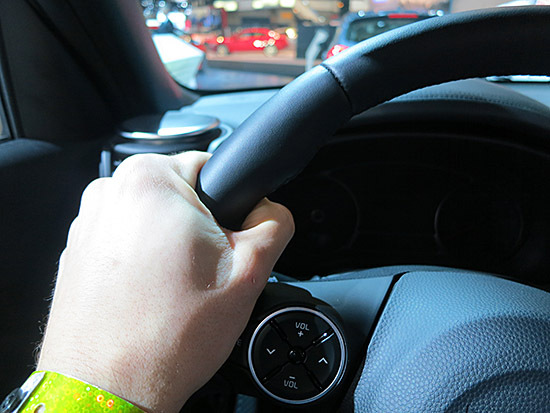 Your fingers and elbows weren’t meant to rest on hard, unyielding plastic, so now their steering wheels, door panels and center consoles are softer. They’ve even covered them in high-quality leather. Ever squeeze a steering wheel and felt it squeeze back? I haven’t, either. But the leather-wrapped wheel in the new Kia Soul would if it could. It imitates the helm of a luxury car, yet costs less than $20,000. This is style and progress. 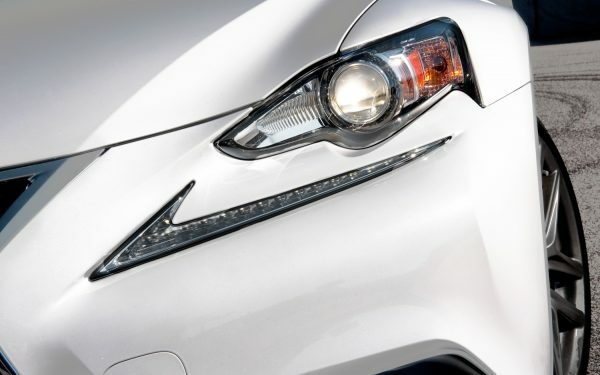 Car Doctor Q&A: Why Is My Lexus Headlamp Blinking?